Roaring Brook Press, 9781626723757, 336pp. 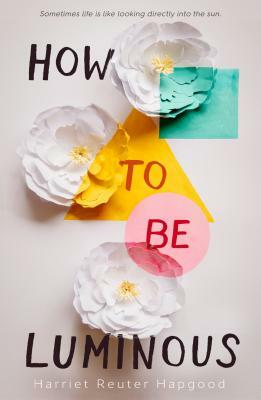 Harriet Reuter Hapgood's beautiful writing radiates with color in How to be Luminous, a lyrical and engrossing story about the aftermath of tragedy and the power of self-belief and love. Minnie Sloe and her sisters have weathered it all together—growing up without fathers, living an eccentric lifestyle with a pet rabbit named Salvador Dali, and riding out their famous artist mother’s mental highs and lows. But then their mother disappears, and Minnie, who was supposed to follow in her footsteps, starts seeing the world in monochrome. Literally. How can she create when all she sees is black-and-white? As grief threatens to tear the three sisters apart, Minnie fears she could lose everything: her family, her future, her first love . . . and maybe even her mind. Harriet Reuter Hapgood is a freelance journalist who has worked with Marie Claire, ELLE, and InStyle in the U.K. Her debut novel, The Square Root of Summer, was inspired by her German mathematician grandfather and her lifelong obsession with YA romance, which includes an MA thesis on Dawson's Creek from London College of Fashion, and a dissertation on romantic comedies at Newcastle University. She lives in Brighton, England.